Happy Monday Hair Friends. Last week/weekend was really busy for me. I traveled back to my hometown with my husband and that always seems to through me off of my hair game. The last two days, over the weekend, I basically kept my hair in a puff style. Additionally, I skipped moisturizing and de-tangling my hair two night in a row. But overall, it was a really awesome weekend. If you noticed my last post, it is not full of pictures like it normally is (I actually pulled the one photo I have from another blog post on my blogger). Not to mention, the photo below was taken with my iPhone (like I use to take all of my photos lol...thank God for upgrades) because I left my Canon at home which was 3 hours away. Alright, enough of that!!!! Thank you everyone who has been patient with my late posts as well. Check out my last post here. 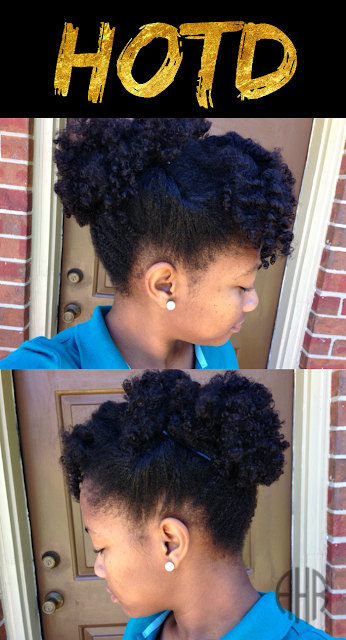 To achieve this style, I sectioned my 1 day old twist-out hair from ear to ear with my fingers. Then, I separated the top half into 3 sections. The two sections on the sides of my head, at the top, I twisted with my fingers and pinned it toward the top of my head. As far as the top middle section, I just separated the curls with my fingers and pinned it to one side. Next, I took the remaining hair and finger combed it into a high puff and secured it with an elastic. Then I pinned the the twisted hair down with bobby pins. 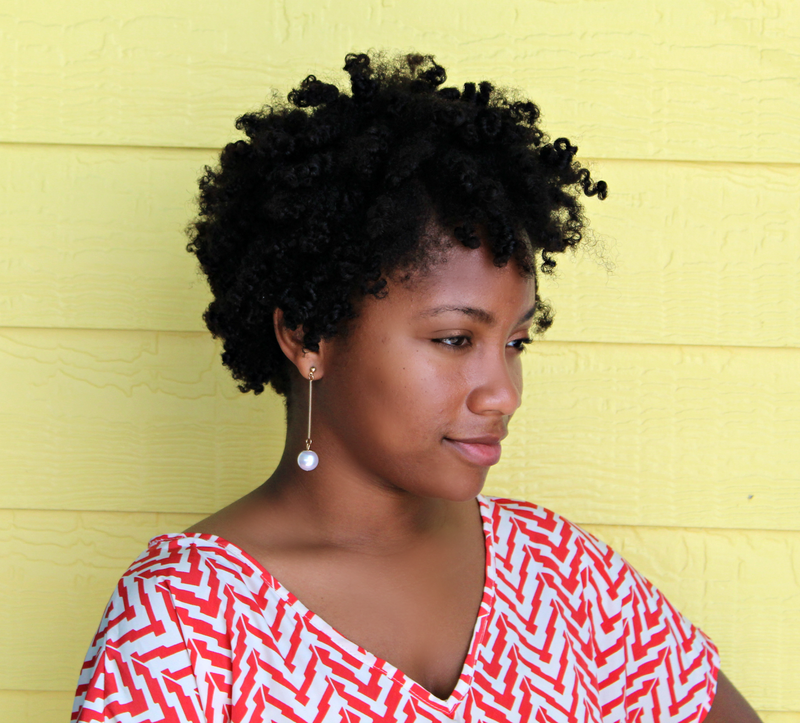 Stay tuned for my Wash Day post on Friday. New Post Every Monday & Friday.